We continue a series of posts called “Compliance Profession: The View from the Inside”. 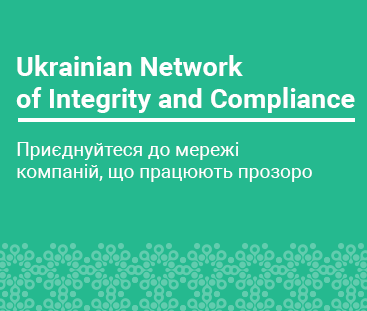 These are the interviews with known professionals in the area of corporate ethics and compliance who share interesting aspects of their work, ideas, views and useful materials. In my previous posts, I have been musing about corruption and compliance in Sweden. Being impressed with what the Swedish Anti-Corruption Institute - the Institutet Mot Mutor (IMM) does in terms of promotion of compliance, I decided to ask Natali Phalén, the head of the IMM, to find out more about compliance culture in which the Swedish companies operate. Interested? Keep reading. In business, before starting any cooperation, it is necessary to carefully feel out the situation on many fronts. One option is to make sure that your potential partner is not under sanctions. After all, if s/he turns out to be, for example, on the list of the United States Department of State, the road to this country will be closed to your company. Cooperation with “offshore” firms can also tarnish your reputation a bit. And sometimes it happens that a bubble company, with which you have started cooperating out of negligence, after its disclosure, will drag you into a reputational pit too. “All life is risk management, not risk exclusion.” These words belong to an outstanding man – Walter Riston, one of the most influential bankers in the world, the former head of the large international financial conglomerate “Citicorp”.